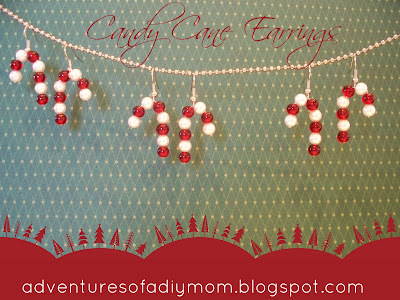 Look at these cute little Candy Cane Earrings. These were super quick to make. I made a pair for myself, my daughter and her friend. 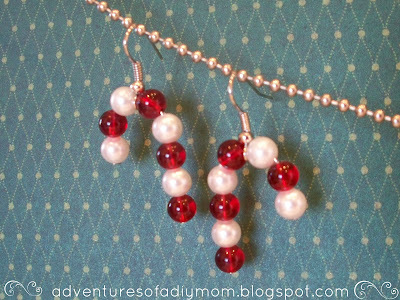 I got the idea at Prima Bead. Mine are a little different, since I used what I had on hand. 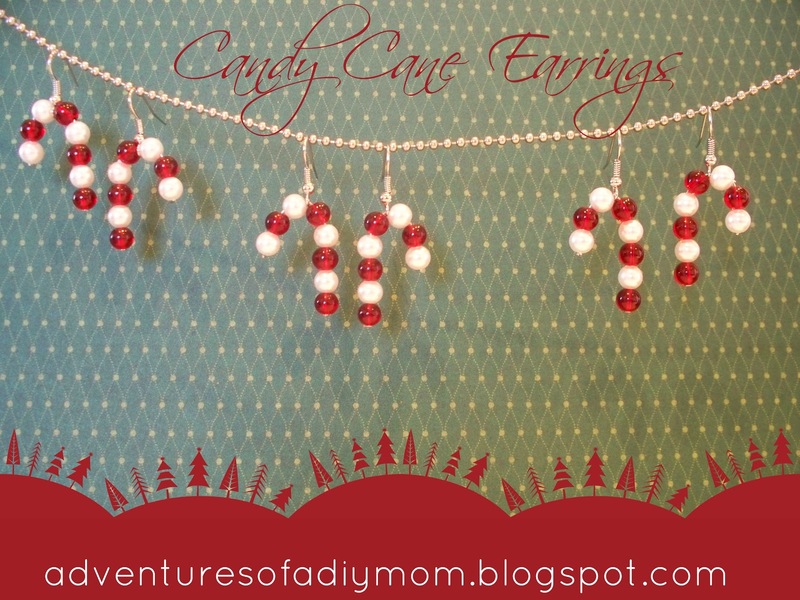 My beads were bigger, so I was only able to fit seven beads on each earring instead of ten. I also had to just bend over the end of the wire and add a little super glue to the end. Very realistic, they look good enough to eat - which I realise is not what the idea really was! Hope the young ladies appreciated them and that all three of you have a great time as the Holiday approaches.